ROCHESTER, Minn. ─ Today, Mayo Clinic released a societal impact report demonstrating the powerful effect the organization has on medical practice, patients and the American economy. 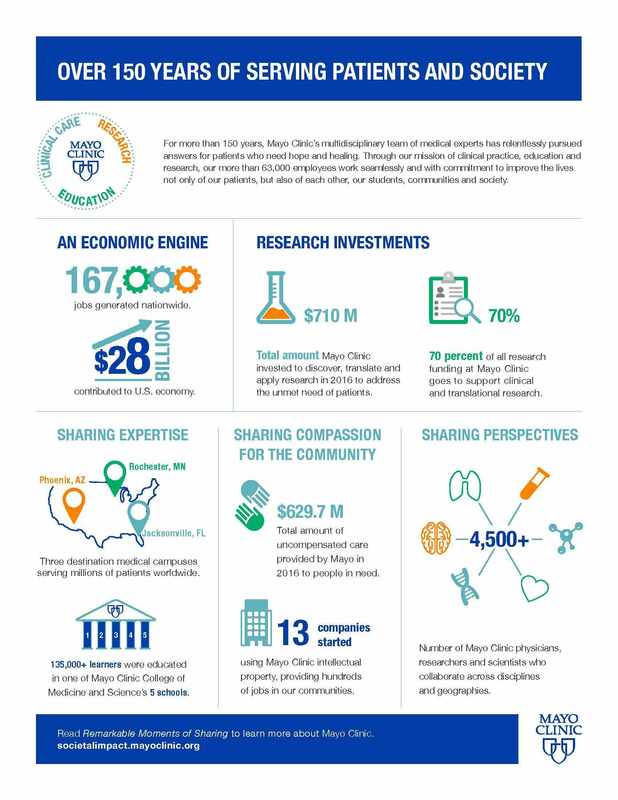 The report ─ a first-of-its-kind study for Mayo Clinic ─ shows that Mayo Clinic contributed $28 billion to the U.S. economy and created 167,000 jobs nationwide through its business expenditures and the employer multiplier effect. TEConomy Partners, LLC, a consulting firm that provides econometric analysis, conducted this study. While the study confirms that Mayo Clinic is a national economic force, the report, Remarkable Moments of Sharing, details how Mayo Clinic also provides many additional benefits to households, businesses, government and other organizations across the U.S. Mayo Clinic’s unique integration of clinical care, research and education creates connections that lead to a meaningful impact on patients, researchers, medical students and communities. Mayo Clinic generates $28 billion within the overall national economy. Mayo Clinic directly and indirectly supports 167,000 jobs nationwide, including more than 92,000 in Minnesota, more than 13,000 in Arizona and more than 12,000 in Florida. Mayo Clinic, its suppliers and its staff generated nearly $3.9 billion in public tax revenue, which includes $2.2 billion in federal, state and local tax revenue from its Minnesota operations. 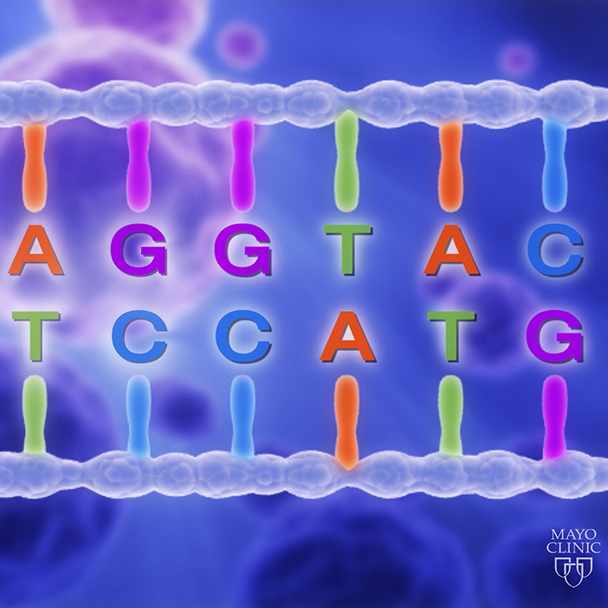 Mayo Clinic provided more than $952 million to the broader community in 2015 through a combination of charity care, donations, research and education. Mayo Clinic‘s Rochester campus supported about 100 nonprofit community organizations over the past year. TEConomy Partners LLC used an industry standard Industrial Organization (I/O) model through the IMPLAN software system. It uses detailed region- and sector-specific data sets to estimate the outcomes and gauge the economic potential. The model incorporates detail of 536 individual industry and economic sectors that cover the entire regional, state or national economy. This allowed TEConomy to model more precisely the true impact of Mayo Clinic operations and differentiate its health care, research and educational functions using an analysis-by-parts impact modeling approach. Total expenses are used, instead of revenues, as they are a truer measure of total direct impact.